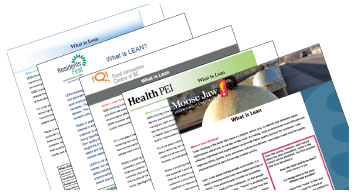 BJM & Associates has a comprehensive toolkit that is used across Canada in the public sector. The toolkit has been developed for individuals who are responsible for leading change within the organization. One-pagers are just that, quality improvement theories and tools explained in a simple one page. 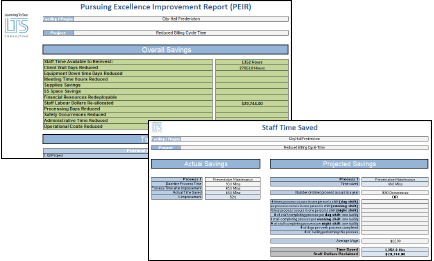 It provides those who are leading quality improvement projects within the organization a quick reference that can be used for teaching others or used to help with the facilitation of teams. 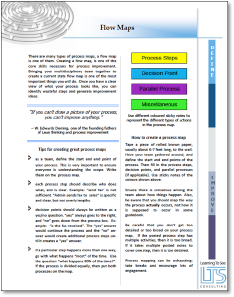 One-pagers also include quality improvement tools broken down to easy to understand instructions that provide the ‘how to’. These one pagers can be tailored to match the organization as far as content, terminology or visuals, including using industry-relevant examples, and revising terminology to match the language the organization employs. In addition, this can include customizing the colors, adding logos etc. 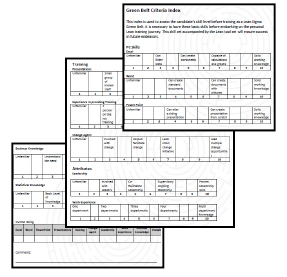 These templates are in place to keep trainees on track through all phases and can be revised and customized to also fit the organization but it does give organizations a starting point for creating a toolkit. BJMA has developed three project structures. A Rapid Improvement Event that is used for more complex projects and Kaizen Event project structure that is used for less complex projects and a 5S Event. 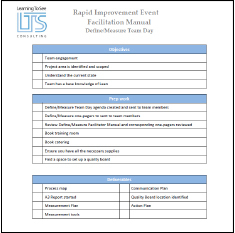 The Facilitation Manuals are carefully thought out manuals that help keep facilitators on track during team days. Within the manual all required objectives, prep work, milestones and deliverables are clearly outlined. 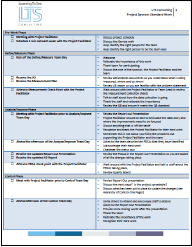 The step-by-step facilitation pages ensure the project is completed in a standard manner. 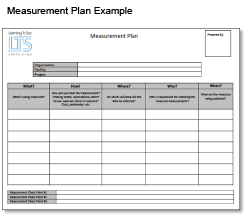 The one-pagers and templates are directly linked to the Facilitation Manuals. In the example below you will notice the right hand column has the corresponding one-pagers and templates for each section. BJMA has received constant unsolicited feedback from all of our clients on how invaluable these facilitation manuals are. Projects will always include a project sponsor, someone at a senior level who can remove roadblocks. However, many sponsors do not know where to get involved. 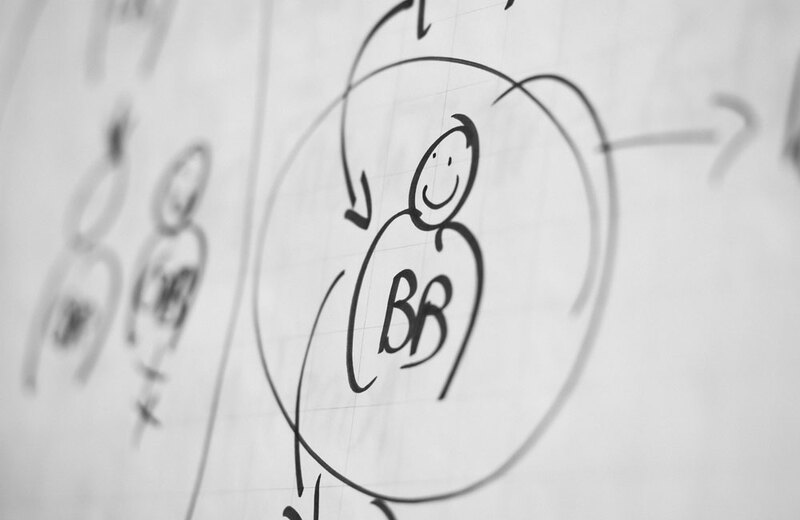 BJMA has standard work based on the project structures so sponsors know where to get involved, and what they can expect from the project facilitator. BJMA has the capability to customize a web portal that can house all the one-pagers, templates and facilitation manuals for the organization, which can be a simple but effective tool for overall engagement. The portal can also be customized to match your organization and has the ability to upload projects, videos and success stories. 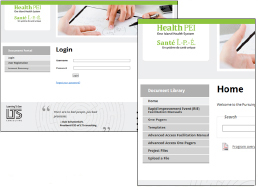 Capability can also include using the portal as a project library as projects can be easily uploaded. For those organizations that do not wish to create their own portal, participants can be given access to the BJMA web portal to gain access to the one-pagers, templates and facilitation manuals that are in the BJMA format. The organization may also house all the one-pagers, tools and templates as part of their own internal website or files. BJMA also offers a paper manual and electronic templates as the fourth option for an organization. Every project, whether it be a rapid improvement event, a Kaizen or a 5S project, must achieve a goal. The BJMA Savings Calculator is customized to fit your organization’s key strategies and dashboard metrics to ensure those goals are contributing to the bottom line. The Savings Calculator looks at both quantifiable and subjective measures, and rolls them up into one comprehensive report. This report is validated through your organization’s financial department as the aims and outcomes should have a budgetary impact. The report also identifies any redeployment opportunities for staff or resources. LTS also provides a comprehensive mentorship structure. The key to the successful implementation of process improvement and change management in any organization is the practical application of the methodology with experienced mentorship. As organizations start to become independent by building internal capacity, those internal resources take on the role of mentors. The components are: mentorship database, mentorship passport and project status update. 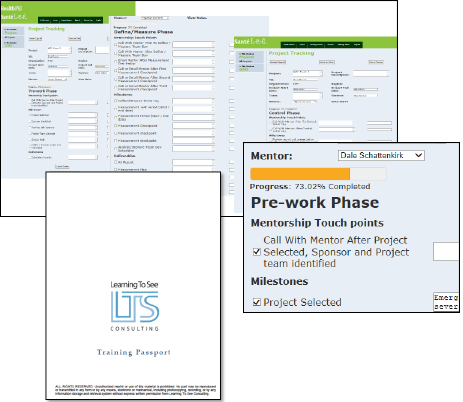 The mentorship database is a mirror image of the facilitation manuals and training passport. 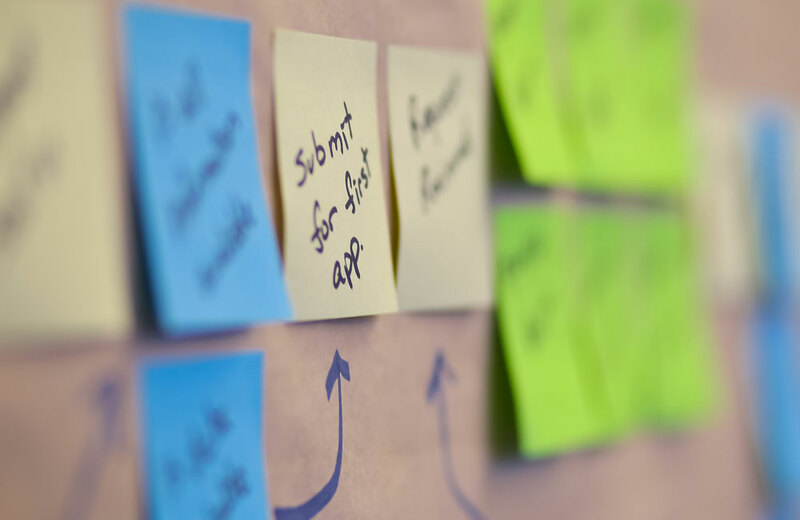 This consistent, standard approach allows all of your quality improvement projects to be consistently tracked and comprehensively completed within the project cycle. Access can be granted to any or all of the students, the mentor and project manager etc. to monitor the overall progress of projects. The database also triggers for “at risk projects” and alerts the project manager via email when any project is off track. The matrix would be similar to the figure seen here, and is being used successfully across Canada with all BJMA clients. 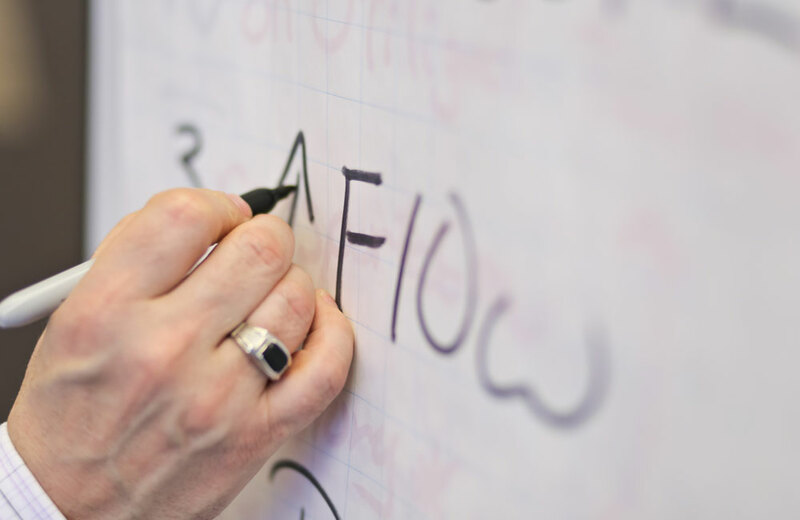 Selection of your Lean facilitation resources is one of the key Lean Six Sigma success factors. The BJMA Lean Six Sigma program has a comprehensive selection process that affords any organization the ability to easily identify if a candidate is ready to be trained as a belt. The criteria are also used as a development tool for self-identified candidates. 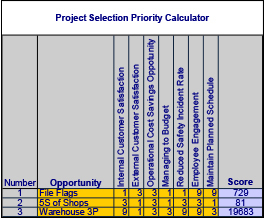 The selection tool allows the organization’s lead mentor to create an action plan based on a personal gap analysis of the candidate. This gap analysis can be turned into a development plan so the candidate will be better prepared to take on the role of a belt in the organization. 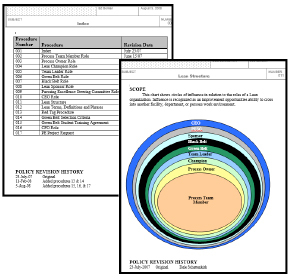 The fully customizable BJMA Roles Manual is designed to assist the organization in their training efforts. This manual has an exhaustive list of the roles in an organization, and a comprehensive outline of what each role’s responsibility is as you transition to a full Lean Six Sigma infrastructure. Leadership is crucial to a Lean Six Sigma programs success. BJMA has created a Quality Board Huddle (QBH) program that allows the link between organizational strategies and operational activities. A Quality Board is the medium through which project teams can continuously monitor the project and system performance visually. 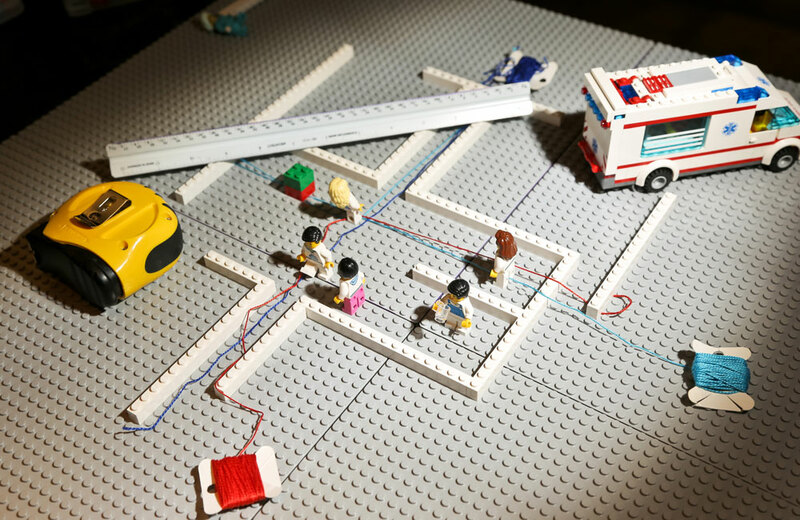 They also allow all members of the team to see how their ideas and efforts are contributing to the overall goal and project. The QBH is designed with a visits pyramid, leadership standard work, and a facilitation guide. This is a schedule of weekly, biweekly, monthly and quarterly visits by the different levels of leadership. It sets the expectation of leaders “showing up and being present” to articulate the organization’s direction. Leadership Standard Work – leadership’s key output is communication. The QBH gives leaders a reason to “show up” and the leadership standard work sets out the expectations of what to discuss at the QBH. 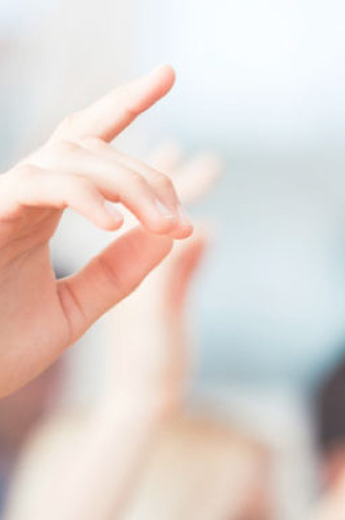 Facilitation Guide – this is a comprehensive document that ensures all Quality Boards throughout the organization are set up and maintained in a standard manner to achieve the organization’s goals. 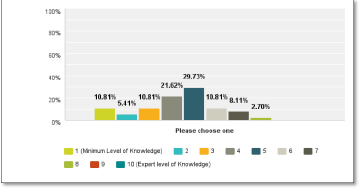 What is your level of Satisfaction with the toolkit training? 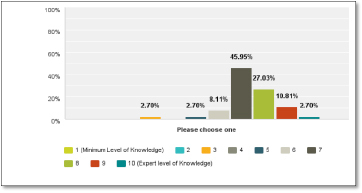 What was your level of knowledge of process improvement prior to training session? What was your level of knowledge after the training session?